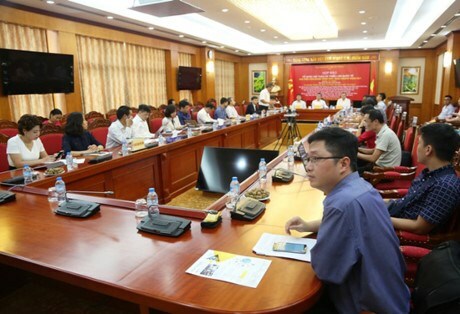 Hanoi (VNA) – The Economic Commission of the Party’s Central Committee will hold international workshops and an exhibition on the development of smart industry in Vietnam for the first time in Hanoi on December 4-5. The Smart Industry World event will offer a forum for the Party’s advisory bodies, state governance agencies, experts and business community to seek ways to attract investment for smart industry development in Vietnam. Over 1,500 delegates in the fields of industry, agriculture, construction, transport, healthcare, telecommunication, education and more are expected to participate in the event where they will be able to meet potential partners from the country and overseas. On display at the event will be smart industrial technologies from leading countries like the United States, Japan, the Republic of Korea, and Israel. It will also host four workshops on shaping and developing smart industry in future; reforming industries with innovative technologies: trends and solutions; promoting trade and services in the digital era; and strategies for developing smart cities.